Phenomenal Lavender (lavandula x intermedia 'phenomenal' ) pp 24,193. 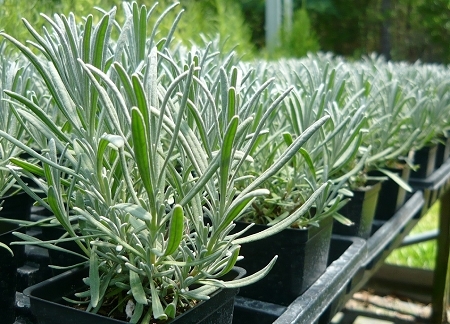 Very hardy hybrid lavender is one of the easiest to grow in the south. Withstands high heat and humidity. Very fragrant plant features gray/green foliage and blue/purple flowers which honeybees, butterflies, and other pollinators adore. Nice mounding habit works well in large containers or for borders. Named a "must grow" perennial by Better Homes and Gardens in 2013. This one doesn't disappoint! Perennial zones 5-10. Live plant in 3 inch container.